The Dermalight 80 UV-B from Dr. Hönle is an exceptionally high-quality handheld 311nm narrowband phototherapy device designed to effectively treat localised psoriasis, alopecia areata and vitiligo all over the body. Also includes a carry case. Phototherapy – also known as light therapy – is a medical technique involving exposure to specific wavelengths of light. It is used in dermatology clinics around the world to treat various skin conditions. Exposure to UV-B light is often used to treat conditions such as psoriasis, alopecia areata and vitiligo. UV-B light can be either broadband or narrowband, with narrowband being the beneficial light found naturally in sunlight. The Dermalight 80 UV-B produces narrowband 311nm UV-B light, the safest, most effective wavelength for treating skin conditions. The Dermalight 80 UV-B is part of Dr Hönle’s state-of-the-art Dermalight range of phototherapy products. 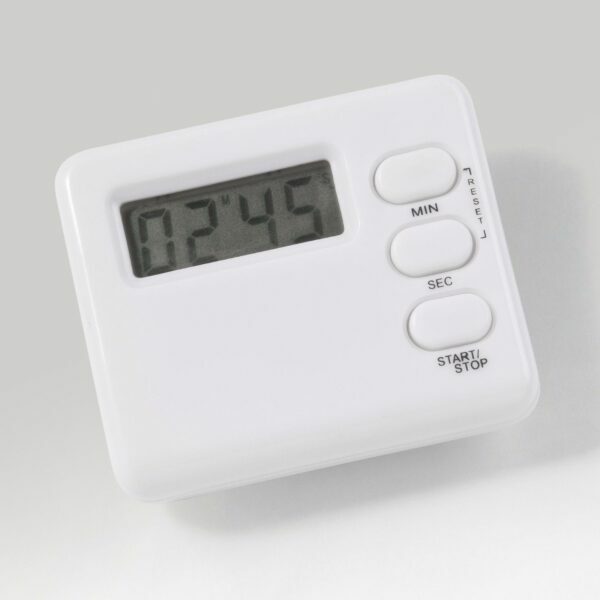 Developed with user-friendliness in mind, all the machines in the range are easy to use, featuring simple controls and a clear text LCD display. Medically certified, the Dermalight 80 UV-B is designed to effectively treat localised psoriasis, alopecia areata and vitiligo all over the body with 311nm narrowband UV-B light. 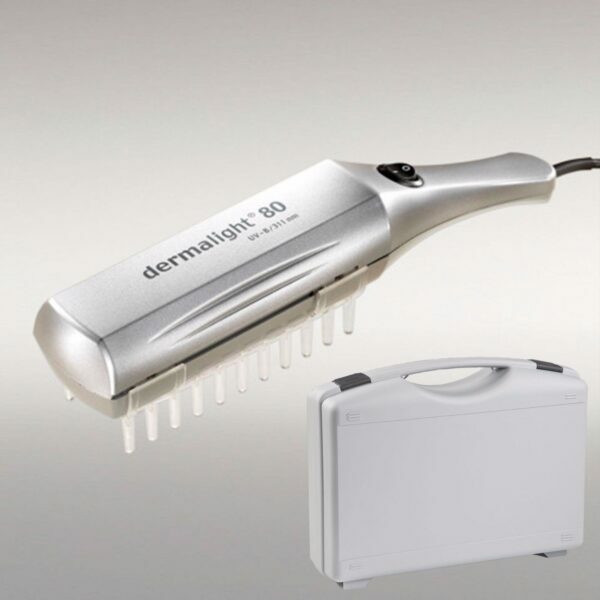 The Dermalight 80 UV-B comes with a special comb attachment to help treat skin above the hairline, which is so often a problem area. 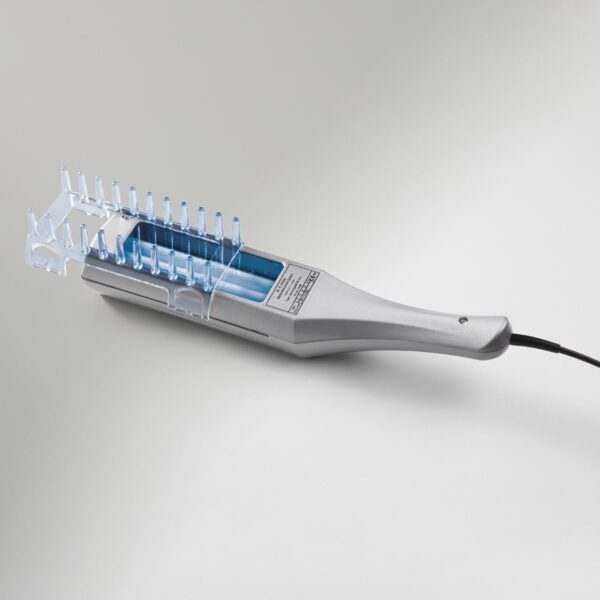 With its gentle round bristles, the UV light is projected through the patient’s hair directly onto the scalp, delivering a much more effective treatment. The Dermalight 80 UV-B is ideal for home use. 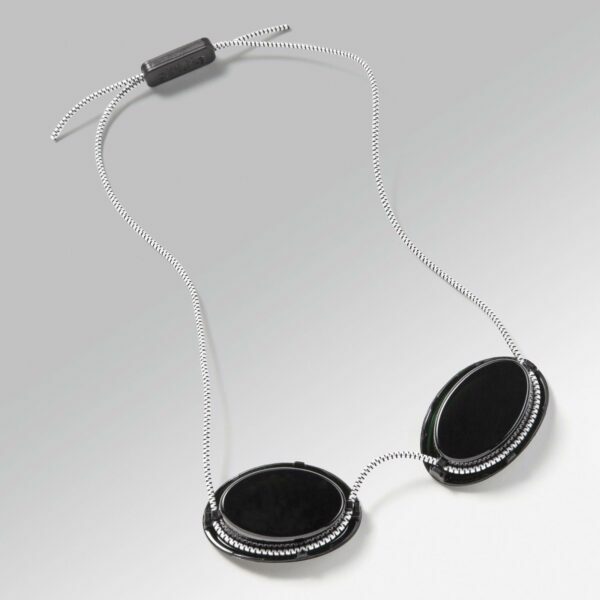 Its superior lightweight construction provides a wide treatment area across short time periods, making it ideal for home-based phototherapy treatments. 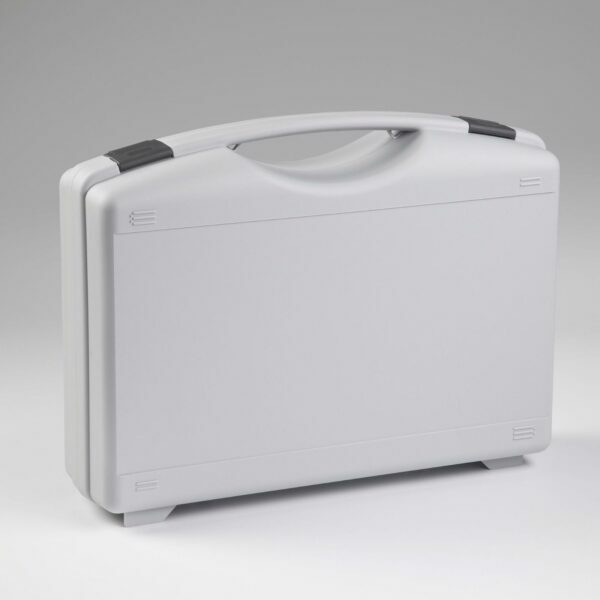 The Dermalight 80 UV-B comes supplied in its own carry case, which makes the appliance very simple to store and transport. The device can even be included in your hand luggage on flights, and can be used worldwide. 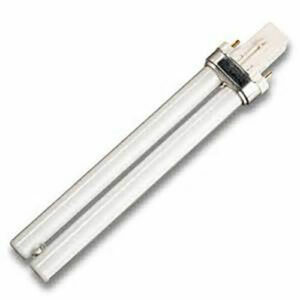 The Dermalight 80 UV-B comes with a one year manufacturer’s warranty against faulty workmanship or parts. If your machine proves faulty within the warranty period, simply call our Customer Support Team on Freephone 0800 612 4812 to arrange for the machine to be returned for repair or replacement. All prices quoted are exempt from VAT. HMRC permits orders for medical devices intended for use by private individuals within the EU (including orders on behalf of close family members) to be exempt from VAT as per VAT Notice 701/7, “VAT reliefs for disabled and older people”. As part of the order process, we will provide you with a declaration form stating that your purchase will be for personal or domestic use only. Orders to be delivered outside the EU are also exempt from VAT but local import taxes / duties may be applicable. For further information, call our Customer Support Team on Freephone 0800 612 4812. The Dermalight 80 UV-B has been specifically configured to treat psoriasis, alopecia areata or vitiligo. It contains everything you need to perform your psoriasis, alopecia areata or vitiligo phototherapy treatments. WHO CANNOT USE THIS DEVICE? We would also recommend consulting your doctor before receiving phototherapy treatment. Psoriasis is a non-contagious, chronic skin disorder that often causes red patches to appear on the skin, commonly on the elbows and knees, but they can also be found within the hairline, on the face and in the fingernails. These patches of skin are often inflamed, and subject to excessive skin production, which can lead to severe itching, social embarrassment, and low self-confidence. If topical treatments such as ointments or creams have not proven successful, UV-B treatment is considered the next step, as it is known to have excellent results in reducing psoriasis symptoms. Vitiligo is a condition that causes de-pigmentation in patches or areas of skin. It is caused when the cells which control pigmentation die, become damaged or malfunction. As opposed to cosmetic camouflage which merely covers up the problem areas, UV-B treatment has been shown to be exceptionally successful in treating the condition, as it actually regenerates the damaged cells, enabling the re-pigmentation of the skin.